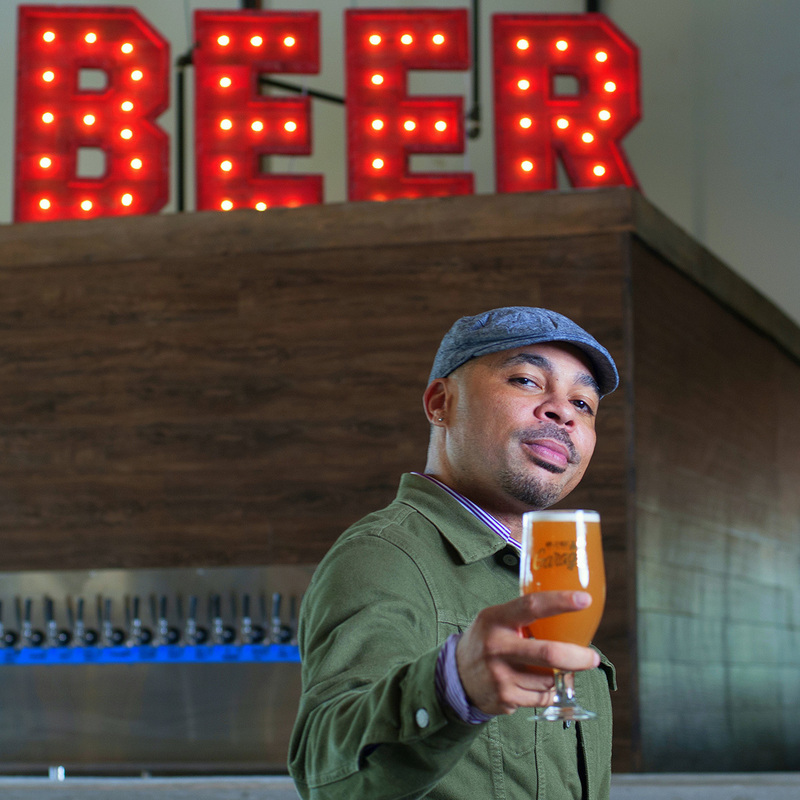 With so many entrepreneurs aspiring to start up a brewery throughout the nation, it never hurts to talk with someone who candidly discloses their successes, trials and tribulations after the first year of operation. Local Icon Hospitality owner Jon Seelbinder has worked in the hospitality business for almost two decades and has become an enterprising restaurateur while living in Raleigh, North Carolina. However, he admits that owning a brewery is on an entirely different level. After opening the doors of Little City Brewing + Provisions Co. last October—a stylish brewpub based in Raleigh’s burgeoning Glenwood South neighborhood complete with a cocktail program, seven-barrel system and minimalist-meets-chic décor—Seelbinder, 38, shares his experience in this CraftBeer.com Full Pour. Get your notepad out. Q: Starting with the basics, where are you from originally, where did you go to school and what brought you to Raleigh? Jon Seelbinder: I’m North Carolina born and raised. I moved to Colorado for school and spent four years there, where I fell in love with beer and skiing. I went to North Carolina State University, majoring in Industrial Engineering and minoring in Business Management. I moved back to North Carolina in 1999, putting roots in Raleigh. Q: And now you are a successful entrepreneur with Little City becoming your latest project. Discuss the transition to the brewing side and the differences. Jon: I have worked in and around the hospitality industry for almost 20 years—from restaurants, bars and nightclubs, to managing music artists and producing events. In addition to Little City Brewing, I own three restaurants, a speakeasy and a DJ bar. Opening Little City was certainly a shift. The biggest challenge was being blindsided by the timeline. Time became very stressful and very expensive. If a beer gets stuck in tanks, you are taking a hit monetarily every day that beer continues to sit. Not only are you losing out on revenue from selling that beer, but you are also losing time on the next batch, too. It’s a tricky game. Tweaking and learning our system is super important. Another curve for us was learning to write down and record everything. Recipes, processes, hiccups, successes … record it all! There’s a saying that brewing and distilling is an ‘exact art and a vague science.’ We have worked very hard to get our recipes and processes dialed in, and we have learned that we will need to continue doing so. Q: You also had some work experience outside of the hospitality industry. How has this helped you with operating Little City? Jon: Outside of the hospitality industry, I also sold medical devices for a bit and worked as an engineer. The manufacturing side of my engineering degree helps me understand the process and logistics very well in a way that feels completely natural. My brief sales experience has allowed for a very comfortable placement of beer into our local marketplace. While our distribution is very limited at the moment, I hope that sales experience will help when we expand our footprint. I have a ton of fun putting on the beer salesman hat! 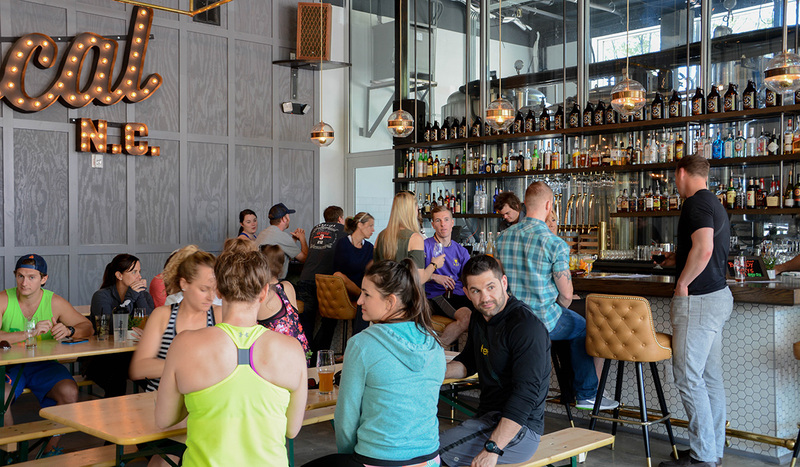 Q: To stand out from the other breweries throughout Raleigh, what was your strategy to create some individuality regarding the concept, décor and menu? Jon: Our aesthetic is a bit different than some breweries. We set out to provide a polished space that evokes a certain feeling to our guests. 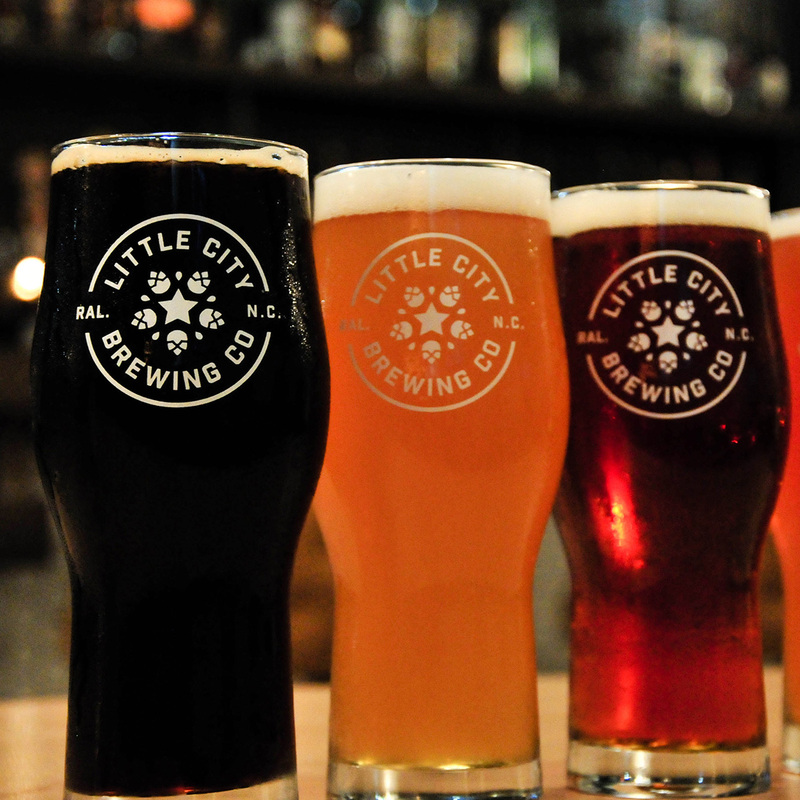 We are setting up Little City as a brewpub right out of the gate. We will be finishing a kitchen and introducing a chef-inspired food program very soon. At the end of the day though, our number one goal is to make great beer. We want our beer to possess a delicious drinkability while still being dynamic in our development. With so many options in Raleigh, we must be dedicated to the craft and be willing to take the necessary steps toward holding ourselves to a high standard. Q: You were a homebrewer prior to making the jump to Little City. What is like working with commercial equipment? Jon: I started homebrewing in 1999. I have made a very close connection between cooking, making cocktails and brewing beer throughout the years. Delicious flavors, quality ingredients, preparation directions and recipes all play into all of those things. Good food, good beer and good cocktails all require an understanding of flavor combinations. Q: Now you will be celebrating Little City’s first anniversary in October. What other challenges have you endured and what are some of the lessons you will be taking into year two? Jon: There have been so many challenges and learning curves that we are still figuring out. Having our own beer on tap is a big deal and time can be such a hard thing to overcome. Between the time it takes to actually brew the beer to then keg the beer, we find ourselves in a time crunch to do the process all over again before we sell out of product. The biggest lesson is to be disciplined in the way of patience, consistency and the message we send to our guests. We have to baseline some standard beer selections before we start rotating new stuff in and out. We have to tweak and perfect those things and have a consistent product that people keep coming back for. We have also decided to keep our distribution as close to home as possible for now. We don’t need to stretch across the state quite yet. We want to serve as much beer as possible in our four walls. If we get caught up in the shuffle of a turn-and-burn operation, our brand could get lost. We will hold for now and play that game once we are a bit more established. Q: What are some other challenges internally? Jon: Attention to detail and consistent quality. Environments and factors can change all the time. We want to continue to improve our quality every day and make sure that the tanks work correctly, the humidity is just right, the water is the same and that yeast works like it is supposed to. All of these factors can be extremely challenging. Q: Let’s talk about your beer. How do you come up with the names, what styles do you craft, and what are the most popular? Jon: Naming beers can be tough! At first, we wanted to have some very approachable and recognizable styles. This includes ambers, stouts, IPAs, hefeweizens and kölschs. After establishing those styles, we started getting creative with blending flavors like lavender, grapefruit, lemon, coffee, strawberry, vanilla and basil to name a few. All of our beers are ales due to the size of our fermentation space. Ales carry the best timeline for our model. We have done some barrel-aging, which was dynamite, and will be moving into a sour program soon. As far as the most popular, our coffee kölsch has been a huge hit. We take a generous amount of coffee that we source locally from Larry’s Coffee and brew it with our already dynamite kölsch recipe. The result is a beer that is lighter in color and not nearly as heavy as your typical dark coffee beers. Folks are super surprised once they taste it, and it seems to please a very broad demographic of beer drinkers. We can’t keep it on tap – it moves! Q: Discuss Raleigh’s craft beer scene. Jon: Growing, hip, delicious, supportive, quality focused and relevant. There are approximately 40 breweries in Wake County alone with so many great players in the game. We admire our brewing community. Everyone has been super helpful. We have brewed together. They have helped us with lending keg washer time and provided advice when we needed it the most. While the community is supportive, the approach is still very competitive. The top breweries are striving every day to make really good beer while creating dynamite brands. The game is strong and I think the majority of us believe that you can never have too much good beer! I believe Raleigh breweries will continue to be major players in the beer game. Q: What are your future plans for the brewery? Jon: Taking our time and really getting our beer right—I mean very right—focusing on quality and consistency. We want to focus on drinkability and not be afraid to blaze into the unknown to create really epic stuff. From there, we will start to implement an awesome food program and figure out how we want to expand our beer brand. We know we are creating something special and that’s what we want to focus on — keeping it special and hoping that people fall in love with us. Q: Last, what American craft and independent breweries do you have a lot of respect for and why? 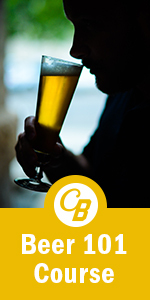 Jon: There are so many great breweries locally and around the country that I could mention. 3 Floyds Brewing Co. is undoubtedly an amazing brewery that does some really special beers year after year. Sierra Nevada has paved such a major path for all craft breweries. Some others include Trophy Brewing, Deep River Brewing, Bond Brothers Beer Company, Brewery Bhavana, Lonerider Brewing Company, and on and on and on. There is a serious amount of great beer currently being brewed in North Carolina.